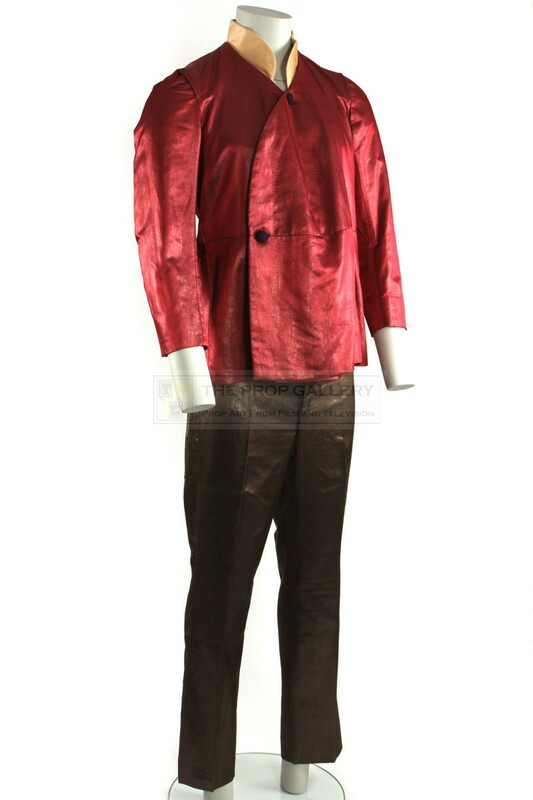 This costume was worn in the sequel Another Flip for Dominick which was commissioned in 1982 following the success of the original Flipside. 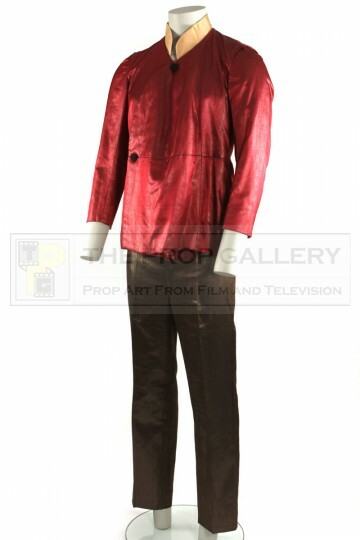 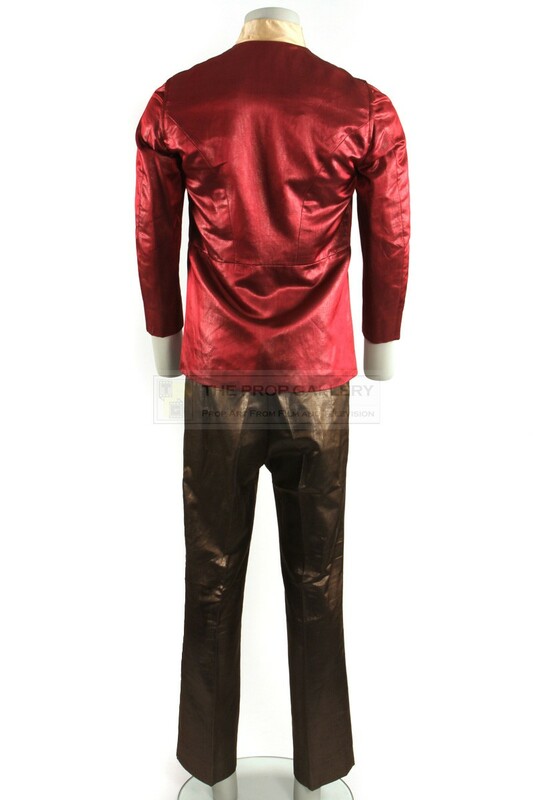 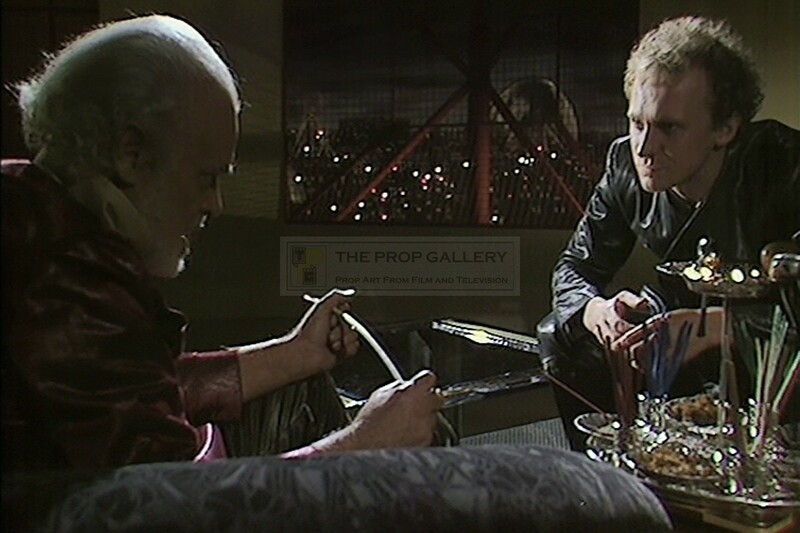 Worn by Patrick Magee as Dominick's superior Caleb Line this futuristic costume was bespoke made for the production by Arthur Davey theatrical tailors of Covent Garden, London and consists of a metallic red satin like jacket featuring a white collar with button fastenings accompanied by metallic gold trousers. 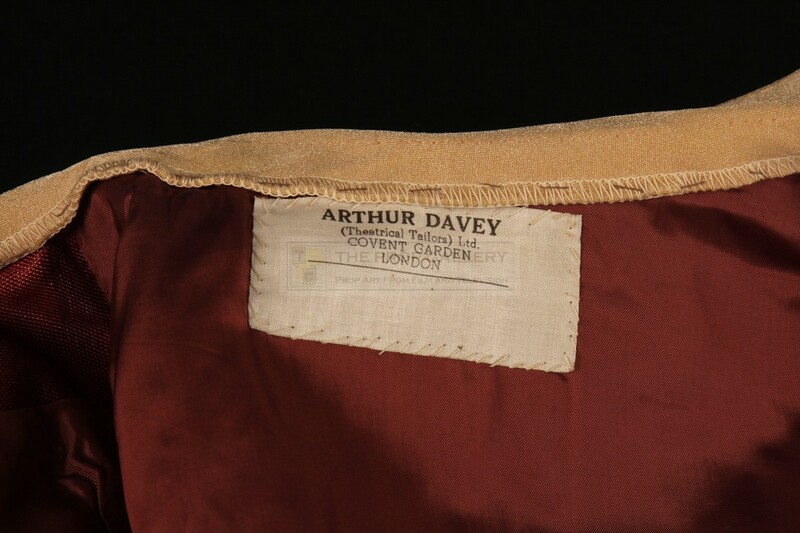 Both elements of the costume feature their original Arthur Davey labels to the interior which remain blank. 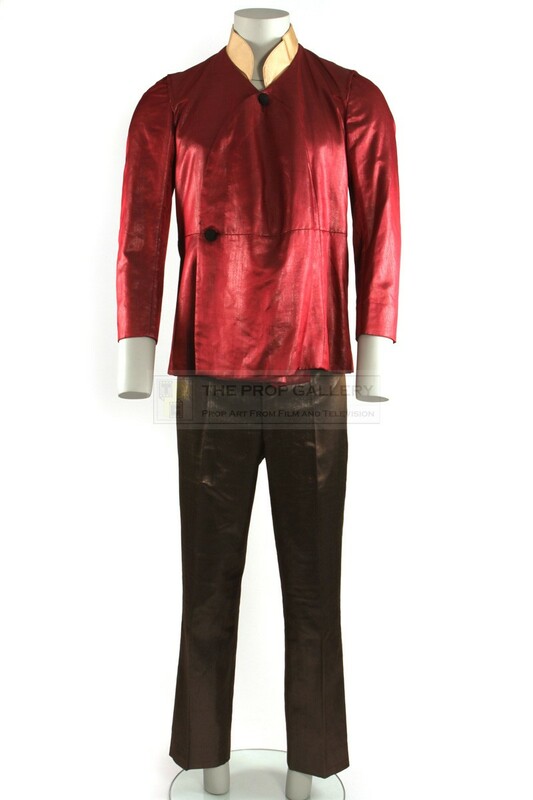 The costume remains in excellent production used condition throughout, very fine. 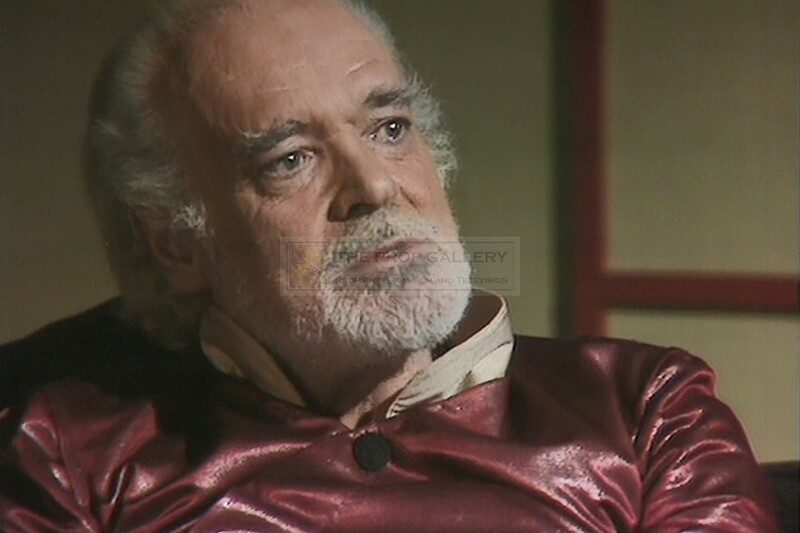 A rare example of original wardrobe from this cult BBC science fiction production.